Towards the end of 2017, Cactus Holdings, the owner of the Western Beef and Junior's Food Outlet chains, announced the introduction of the Western Beef Market, a new store concept designed to rework existing Junior's stores to a more modern format. 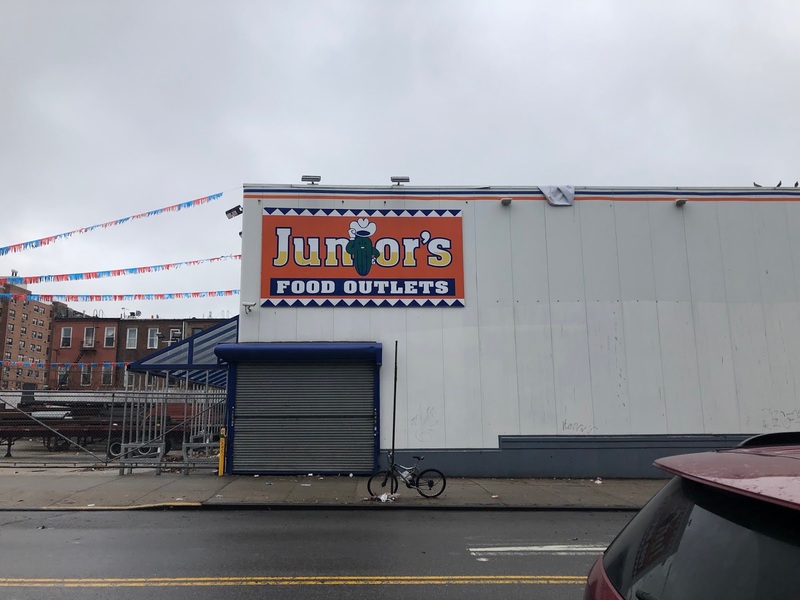 While Junior's Food Outlet are hard discount stores, the Western Beef Market stores are perishables-focused, with complete produce, meat, and seafood departments, although they are smaller in footprint than standard Western Beef supermarkets. 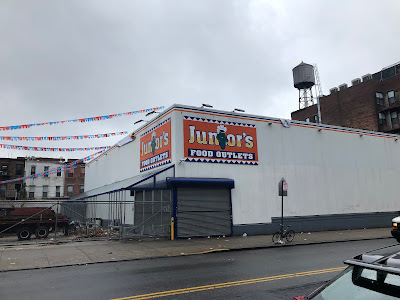 This facility, located in northwestern Brooklyn, had closed by the time of my visit in anticipation of a conversion from Junior's to Western Beef Market. 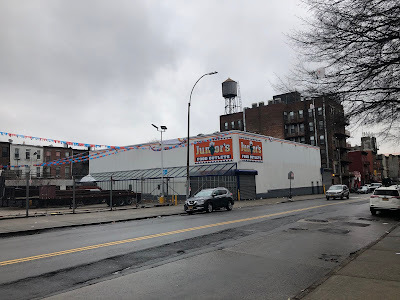 The fact that there is a large closed-up supermarket in this area doesn't help, but these few blocks kind of feel like a no-man's land. While just across the street from this store are three square blocks of public housing, it didn't seem like anyone was actually there when I visited. Very strange. Stranger still is that this store is just two and a half blocks off of the hustle-and-bustle of Broadway, the main thoroughfare through Bushwick. On that topic, I'm not sure exactly what this neighborhood would be called. It's in an awkward spot between Williamsburg to the north, Bedford-Stuyvesant to the south, and Bushwick mainly to the east. Anyone have any input? No work was going on the day I visited, and I have no idea what the progress has been like, if any. The store is located at 994 Myrtle Ave, Brooklyn, NY.